Way back in January 2007, we wrote about this topic with respect largely to the things we drop in the water (see Atlantic Maritime, Cleanliness is Next to Godliness, January 24, 2007.) But what about the things we bring out there, like our copper-oxide bottom paint? This column is about that. Yes, if you really think about it, we paint the bottoms of our boats with poison. Intentionally. 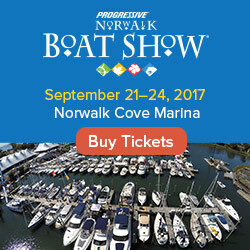 We’re trying to kill barnacles, algae, slime and other stowaways who can clog our intake valves, foul our running gear and, as a consequence, actually create another bio-hazard as we have to apply more power (meaning burning more fuel and creating more exhaust) to move the boat at a given speed. So, our intentions are not necessarily ignoble – but if we start to address some of the collateral damage, we can make them noble. The history of the War of the Barnacles goes back to the Phoenicians. They used many substances – including lead and tar – to battle the speed-killing and weight-adding stowaways. It wasn’t until the Romans realized that shields of battle work at sea too – and shielded their ships with copper sheathing – that something effective began to turn the battle in favor of the mariners. This technique lasted for millennia. History tells us that Nelson had an inherent 20% speed advantage over the Spaniards at the Battle of Trafalgar because of copper sheathing. A lot of dangerous things don’t reach the tipping point until there is a lot of something acting on the environment. 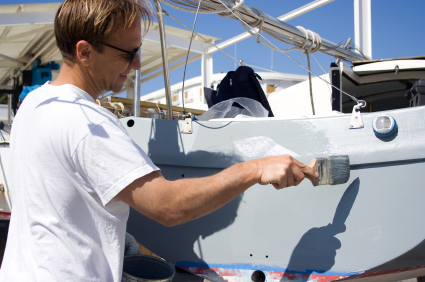 By the 1950s, boating had begun to be popular enough that scientists started to notice that shellfish were being affected by these bottom paints. This started the process that a half-century later is showing up in various alternatives. A 30’ boat, painted with copper-oxide anti-fouling paint, leaches 2 pounds of copper into the waterways. Now, before you dry-dock your boat, scientists note that Nature naturally leaches 250,000 tons of copper into the sea each year – compared to the ~15,000 tons that all the sea-going vessels add. But the ocean is one thing – a marina with 100 vessels closely packed is another. And that is the rub, sort to speak. States and municipalities are starting to notice and taking action in two ways – restricting boat owners from using certain bottom paint mixtures and keeping marina owners from draining their waste water into the sea. Connecticut banned marina owners from doing so last year, requiring them to collect the water and bring it to a treatment plant. 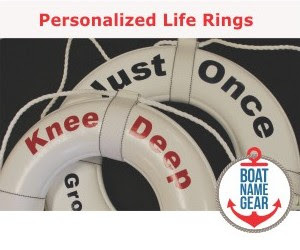 Sounds expensive, which just ends up in dockage fees or, worse, fees so high that boaters start to drop out… Eventually, the Feds will bring a suit under the Clean Water Act and then the game is afoot. For the more scientifically inclined, the stowaways are not attaching to our boats for a ride. They attach to eat. When you put anything in water, tiny electrical charges develop. This was discovered by Johannes van der Waals 1873 (getting the Nobel Prize in 1910.) Via the “van der Waals” force, free-floating objects are attracted to the surface of that object. In waterways, these objects are decaying matter – a very attractive food source to our stowaways. The table is set. All it needs is hungry guests, which Mother Nature serves up readily.